We are happy to announce that the solar photovoltaic system at the Passive House in the Woods produced the first 1/2 kWh of electricity yesterday. Both the solar electric and solar hot water systems will help this home achieve carbon-neutral operation and offset its footprint. 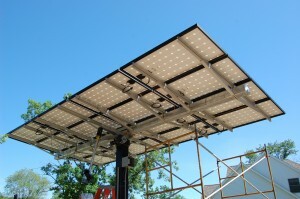 [Update] Midway through day 2 of operations, the PV system has now generated in excess of 50 kWh. It is exciting to see the power generation meter spin up and start to offset the consumption meter! The building is currently in the “rough-in” stage, which means that electrical, plumbing, and mechanical systems are being installed. 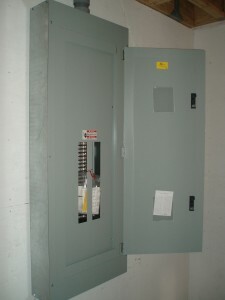 Both line and low voltage wiring are installed by EHS. 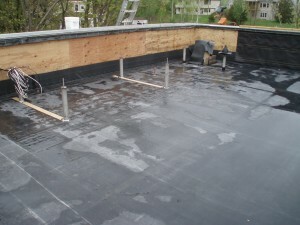 They take great care in a clean installation that is easy to understand. Low voltage and line voltage lines are run in separate bundles in an effort to keep signals within undisturbed. 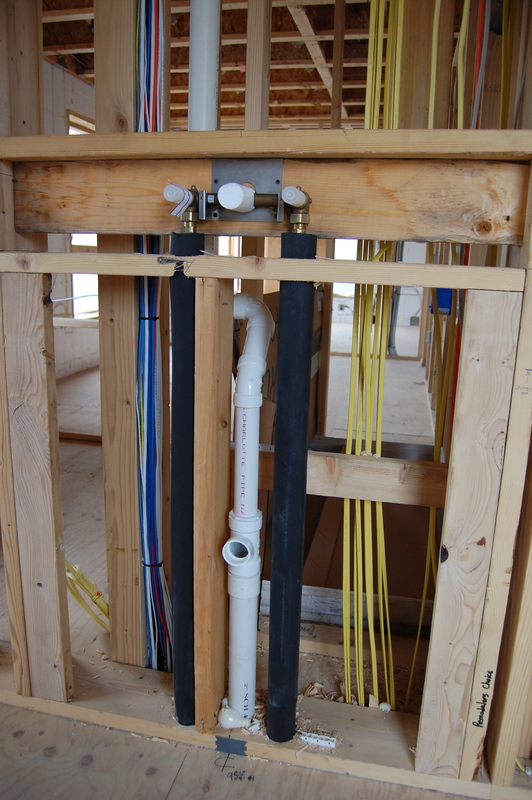 The electrical system in a Passive House is similar to ordinary electric systems with the exception that any protrusion through exterior walls or the roof are being sealed for air-tightness and uninterrupted insulation. 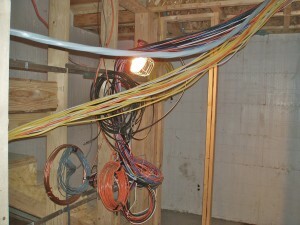 Gary chose to have a lighting control system by Lutron installed. This is not required by the Passive House standard but can help reduce lighting-related energy loads. 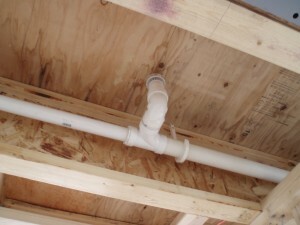 The plumbing system is very simple. The design of the home puts most of it in one single wall that extends vertically from the basement to the second floor throughout the home. 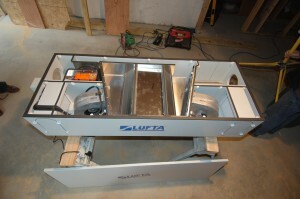 This means short waste and supply pipe runs, and an economical installation. 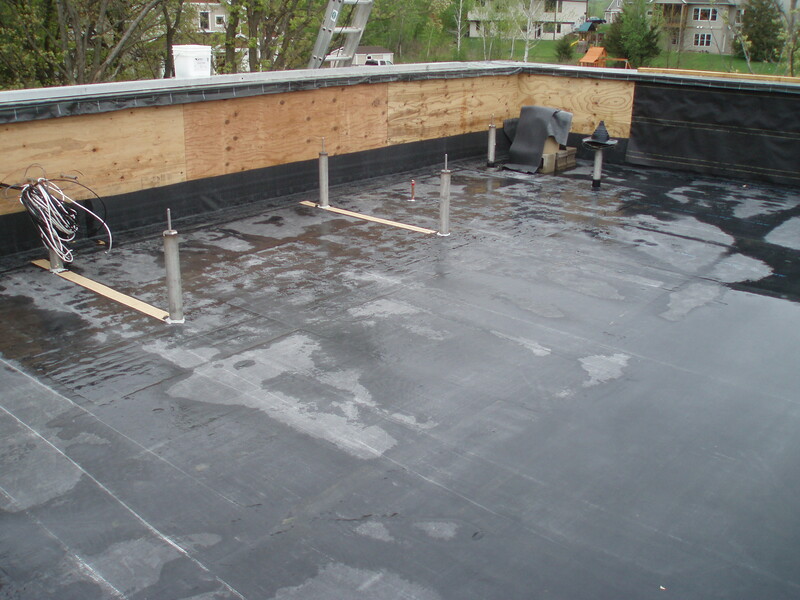 The supply lines are copper, and continuously insulated for efficiency. The waste lines are PVC, and mostly insulated. Warm waste water is used to pre-warm the well-water that is being pumped into the hot water tank, upping the efficiency of the hot water system. 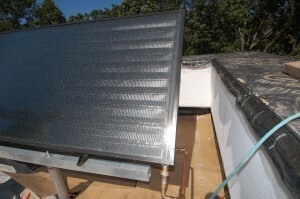 Additionally, hot water is being pre-heated by a solar thermal collector on the roof. Last but not least, an electric on-demand water heater can boost the water temperature if the combination of waste-water heat recovery and solar thermal pre-heating do not make it hot enough. 85% of the hot water needs will not require the on-demand unit. The plumbing system in a Passive House is similar to ordinary plumbing systems with the exception that pipe runs are continuously insulated, and that air-admittance valves are being used instead of vent stacks. 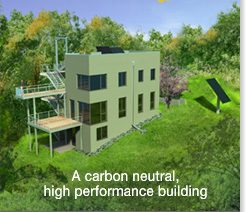 The ventilation system is at the heart of each Passive House. This building will utilize a Passive House certified Lüfta heat recovery ventilator from Germany, supplied by Peak Building Products. 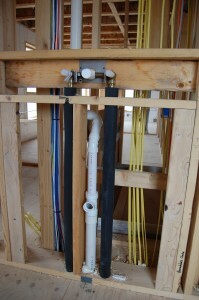 It will be combined with a 600 foot PEX earth loop provided by Rehau—buried below frost on the property. This system will pre-warm, or pre-cool and dehumidify the incoming ventilation air and boost the system’s efficiency to well above 90%. 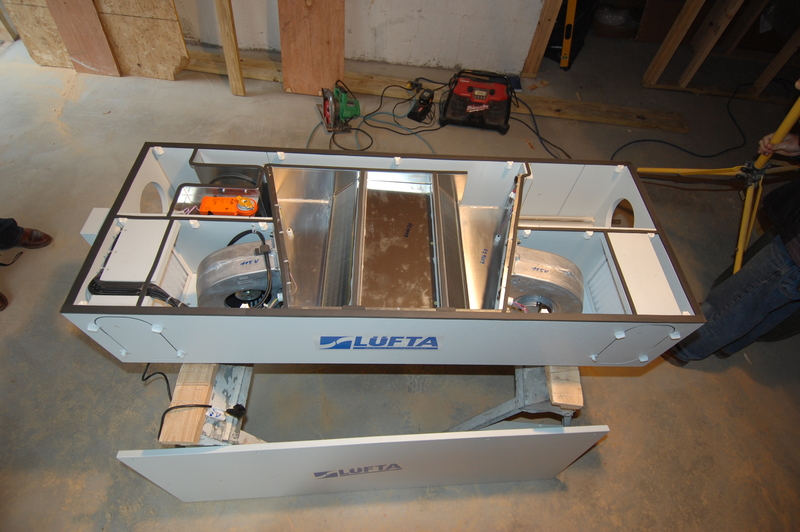 The Luefta machine will supply the entire home with outside air year-round, and exhaust air from the bathrooms and kitchen. 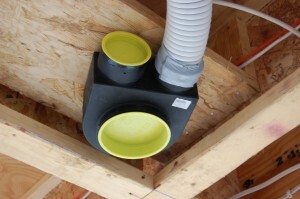 The ductwork comes from Inno-Products and is comprised of a home-run layout with 3″ diameter plastic flex-ducts. The systems throughput is being adjusted by sensors that measure both CO2 and humidity levels in the air. This setup means that the homeowner does not have to adjust ventilation rates, and that the system will ramp down when it’s not needed to conserve energy. 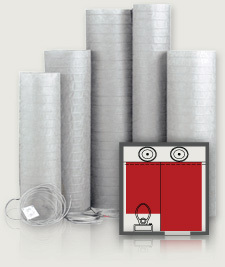 Nuheat is supplying electric in-floor heating mats on room temperature thermostats. 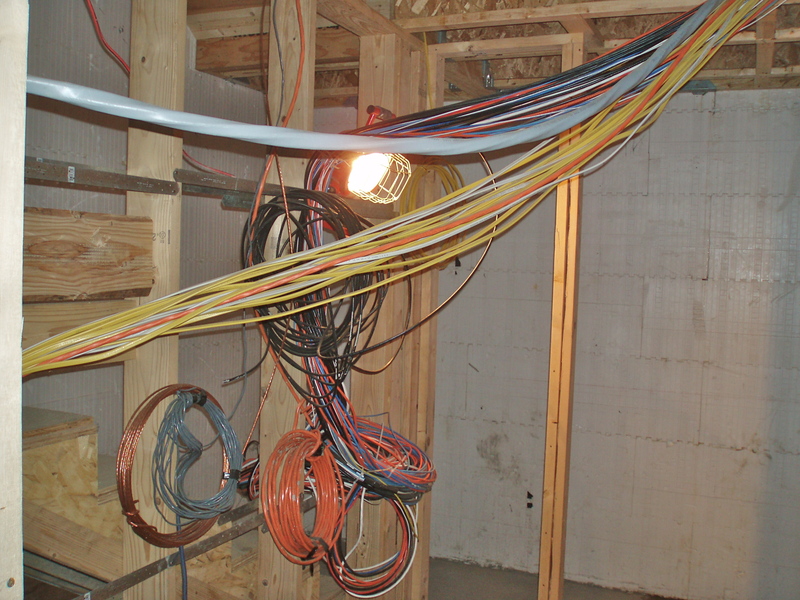 There are 7 zones throughout the home that can be individually adjusted. The entire system is sized to supply a peak heat load of 10 kBtu—about 3,000 Watts, or the equivalent of running 2 hair dryers at the same time. This represents a 90% reduction in heating system over most conventional construction today. 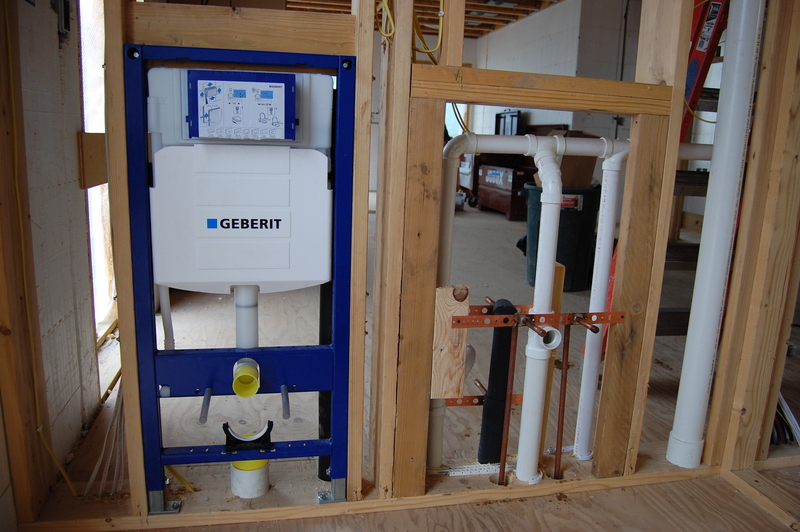 The heating system in a Passive House is very different from ordinary heating systems. It is merely a backup for long stretches of extremely cold and cloudy days in the winter and does not compare to conventional systems in terms of its capacity. 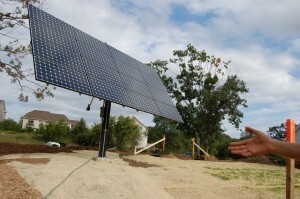 Energy Concepts helped with the design of the renewable energy systems. There are three systems that will go into the building: A solar photovoltaic tracker, a photovoltaic panel array, and a solar thermal domestic hot water system. The photovoltaic systems are scheduled to produce about 6,750 kWh of electricity annually, while the solar thermal panel has the capability to pre warm enough domestic hot water to provide 85% of the annual demand. The remaining portion of heat needed will be supplied with the help of a Stiebel-Eltron booster heater.